Years ago I was searching through old and obscure rose catalogs with one goal in mind. 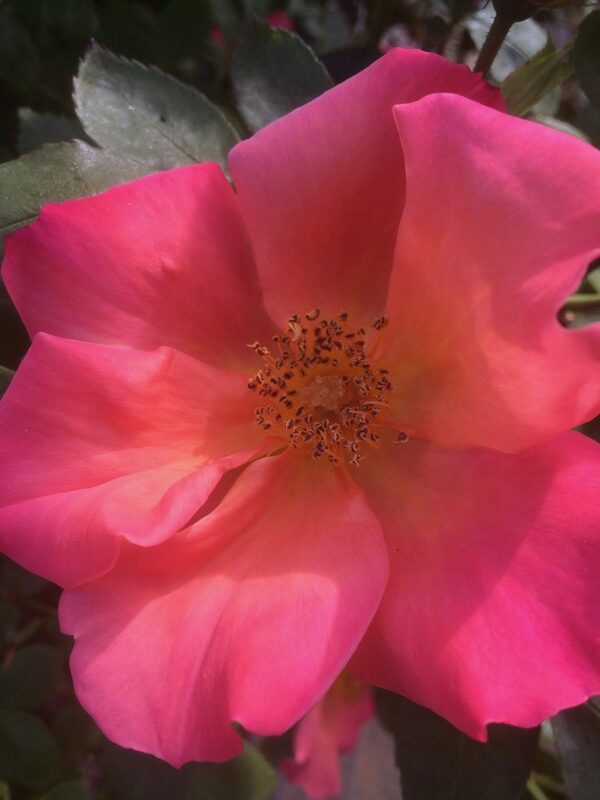 Find a single rose that changes color after it opens. 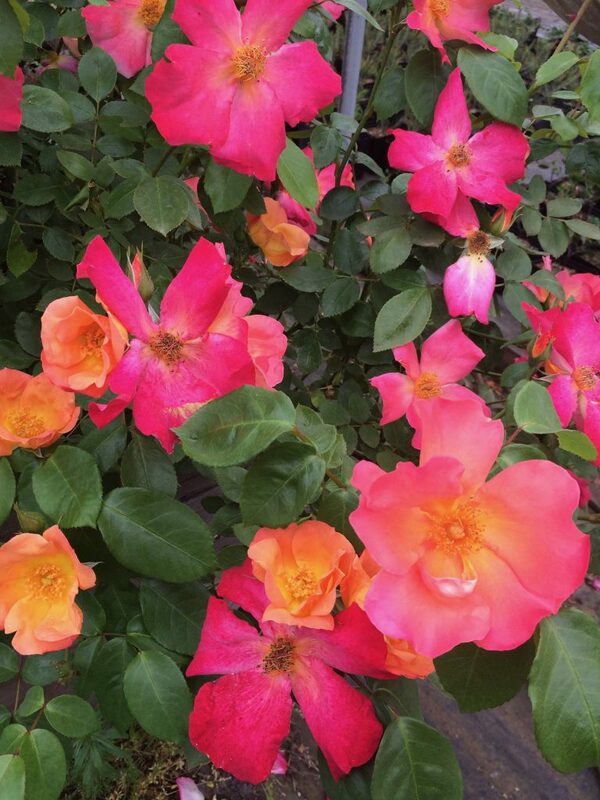 The idea was to mimic Rosa x mutablilis but in different color shades or on a hardier plant. Man did we score. If we could grow only one rose this would be it. ‘Radway Sunrise’ produces large single flowers in clusters that open pale yellow- change to orange and arrive at strong carmine pink. A brilliant multicolored effect on a strong growing virus free and disease resistant rose. Typically grows to 7′ tall in a single season and is amenable to life as a climber too. Rapid re-bloom all summer. Rich, moisture retentive soil with regular summer water. Prune this shrub rose hard in mid-February. The fragrant flowers will form hips that ripen in autumn. Great, great rose.